Virginia Woolf in her essay, “Hours in a Library,” distinguishes between people who read because they love learning and people who read because they love reading. With this distinction in mind—for Woolf always honored “the common reader”-- this Woolf Reading Seminar at the Mercantile Library will read the works below. Though a Woolf and Bloomsbury specialist who reads as Woolf says, “on a system” and in search of “some particular grain of truth,” I have taught readers, young and old, over many years as a tenured professor at City College and now, adjunct professor, at Brooklyn College. This course is for readers who are motivated by simple curiosity about this brilliant, and now popular writer who has become a literary icon. For these “true readers,” Woolf would say, reading is like taking “brisk exercise in open air” not like reading in a study cubicle. September 2005: Women/ Reading and Libraries: Room of One’s Own and selection of essays, “Hours in a Library,” 'How to Read a Book”…. October: Autobiographical sketches from Sketch of the Past, ed. Jeanne Schulkind, and selections from A Writer’s Diary, ed. Leonard Woolf. 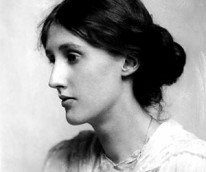 Throughout the course, excerpts from Woolf’s A Writer’s Diary, Essays, Letters, and short stories will be offered as a supplement.